Some musicians plough through their careers heralding their abilities and successes with brash confidence, while others quietly get on with it, producing high quality material with humble stealth. 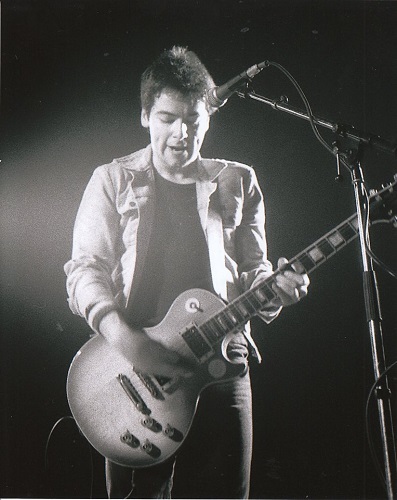 Despite an impressive and accomplished catalogue, Damian O’Neill, best known as the lead guitarist with the Undertones, is fairly and squarely in the second category. Damian is clearly unaffected by the success of being in one of the best punk bands of the 70s/80s. My Toppermost here, with permission, will be stretched to twelve tracks as I try to pin down my favourites from his varied and accomplished musical portfolio. It started with the Clash. Their seminal debut album initially turned my head towards a music genre that I would grow to love more than any other. 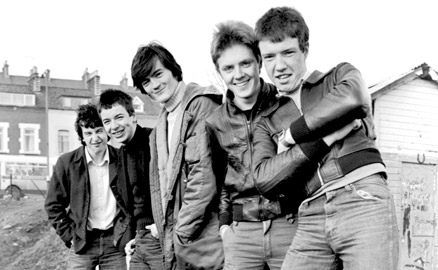 It was the Undertones debut, however, which would detonate my world, leaving me with no doubt that this was the band for me. So what was it about the Undertones? I’ve asked myself this question many times. Growing up in a leafy area of Hampshire was a far cry from the band’s upbringing in troubled Northern Ireland, yet a connection was there. 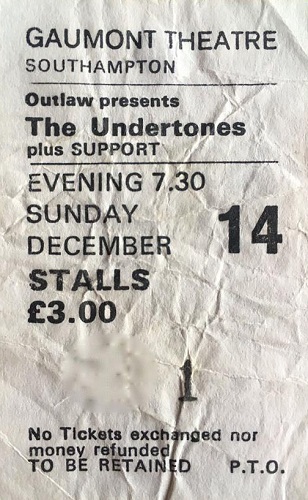 The Undertones never sung about the troubles they were living through – as their Belfast counterparts Stiff Little Fingers were doing – so it was certainly easier for me to identify with the teenage angst that their songs depicted rather than describing an ‘Alternative Ulster’. The band was accessible, or at least that’s how they appeared to me. It was commonplace for band members to write to their fans as well as meet and greet them after every show. As charismatic as frontman Feargal Sharkey was, it was Mickey Bradley and Damian O’Neill who would draw my attention. Mickey was the joker and Damian was the youngster and therefore closest to my age. He was born in Belfast in January of 1961. It’s incredible to think he was a mere 15 years of age when he replaced his brother Vincent in the Undertones in 1976; a guitarist who was only 5 years older than me. But it wasn’t just about the closeness in age, or the brilliant songs with catchy riffs. For me, it was initially about the guitar sound, that glorious overdriven Undertones guitar sound. Damian’s razor sharp power chords twinned with John O’Neill’s dovetailed response was a sound I craved; a sound that, unfortunately, would leave them for their last two albums, but would later be rekindled in That Petrol Emotion. Having already written toppermosts on The Undertones and That Petrol Emotion I don’t want to repeat anecdotes regarding these two bands. There’s no doubt, however, that the genius writing of John O’Neill was the driving force behind the Undertones. His prolific writing of such great songs may have overshadowed some of the equally accomplished writing from, albeit on a reduced output, the other band members. Damian’s collaborative work with bass player Mickey Bradley and single-handed penned songs were equally well crafted. 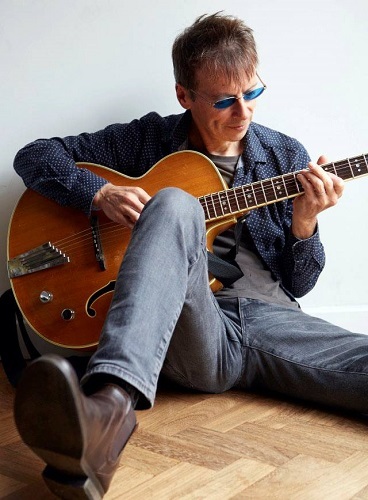 Shying away from the limelight, his humility and modest personality would only enhance the accepted view that John was the only really good songwriter in the Undertones. You only have to take a closer look at their catalogue to realise that was not so. Teenage Kicks is a great song but let’s not forget that the band’s biggest hit, My Perfect Cousin, was a composition belonging to Damian and Mickey. We also mustn’t forget that the best Undertones song of all time, Family Entertainment, was not only written by Damian but also fronted the exceptional debut album. Similarly, another of Damian’s compositions, More Songs About Chocolate And Girls, kicked off the follow up album Hypnotised. Family Entertainment was the first song he wrote on his own and stands head and shoulders above the rest in my Toppermost list. It has a simple, tuneful riff driven along by boisterous chords and breathless drums. Damian’s collaborative influence on many songs cannot be underrated but this shows he didn’t need others to write a great tune, as Whizz Kids and What’s With Terry would also prove on Hypnotised. 1981 saw the release of their eighth single, It’s Going To Happen, which was written by the D.O’Neill/M.Bradley partnership. An unusual departure for the band, leaving the teenage romance behind and uncharacteristically referencing the political situation with the hunger strikes of the time. It’s a great song, reaching #18 in the charts, but I was far more taken with the B-side. 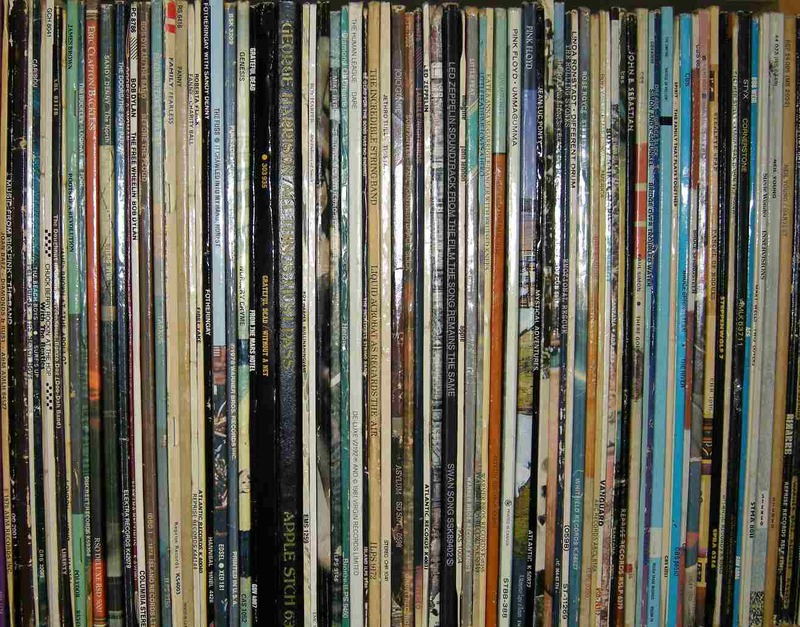 Taking the easy option, many bands will stick an album track or a live recording on the B-side. This was never the case with the Undertones. Their value for money ethic ensured fans always received a ‘proper’ song on the flip side. Fairly In The Money Now was written by Damian under the pseudonym Tommy Tate and the Torpedoes. I’d heard it on the John Peel show prior to its release and thought it was a superb song with its playful guitar work and brushed drumstick beat. I also loved the filtered effect on Feargal’s vocal, reminding me of Trevor Horn’s vocals on Video Killed The Radio Star. I first saw the Undertones at Southampton Gaumont on 14th December 1980. For a 14-year-old fan it was a thrilling experience and I still rate it (along with my marriage and the birth of my children!) as one of the best moments of my life. I was mesmerised by Feargal’s charismatic performance, belting out such familiar songs while Damian rocked back and forth with his Les Paul, shirt undone, sleeves rolled up looking like a rock ‘n’ roll James Dean. Damian’s next band was far more high profile and excited me just as much as the Undertones. 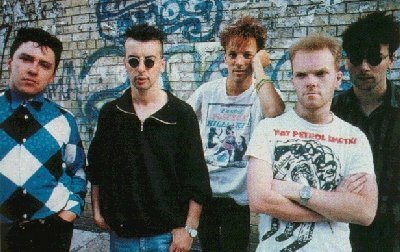 It was John O’Neill who formed That Petrol Emotion from the remains of Derry hitmakers, Bam Bam and the Calling. They were more edgy than the Undertones with songs containing a greater political content. I always thought the Petrols, in terms of sound and compositions, were what the Undertones should have evolved into. With an equally charismatic singer in Steve Mack, I could not fail to love this band. Raymond Gorman backed up John O’Neill on lead guitar while Damian initially took on bass duties. As with the Undertones, John O’Neill had the lion’s share of the song writing, composing some stunning songs. Damian took a creative back seat for their iconic debut album, Manic Pop Thrill but this would change for the second record, Babble, released in 1987. Damian and Raymond Gorman co-wrote the superb For What It’s Worth with its haunting intro and compelling melody. The album also contained the excellent Static written by Damian. The song has a delectable guitar rhythm backed with some neat rim click drumming. The third album, End Of The Millennium Psychosis Blues would be John O’Neill’s last for the band. Although still on bass Damian played lead guitar on Tired Shattered Man co-written with Gorman. This first-rate track opens with a deep pogoing bass line joined by delightful siren like synth. The upbeat rhythm with Damian’s sliding riff and Mack’s low snappy vocal makes this one of the album’s highlights. Damian stepped into John’s shoes playing lead on the next album, Chemicrazy, released in 1990. John Marchini would join the band on bass. Although Chemicrazy would be the Petrols’ most commercial sounding record there was concern that, without John, the songs would suffer. This was not the case as Raymond Gorman, Ciaran McLaughlin and Damian O’Neill did an incredible job composing with four subsequent singles being released from the album. It may have been this move from bass to lead guitar that gave Damian the confidence resulting in three brilliantly written songs in Another Day, Gnaw Mark and Compulsion. Another Day has always been my favourite Petrols song. The upbeat vocal, about loneliness, is threaded out by a guitar line which weaves in and out of Mack’s supreme vocal. This is Damian’s song writing at its very best. The final Petrols album, Fireproof, was released in 1993 (with new bassist Brendan Kelly) and although Damian’s writing involvement wasn’t as significant as it was on Chemicrazy, it was important. The well matched song writing partnership of Raymond Gorman and Damian O’Neill remained, with two great songs in Too Late Blues and Heartbeat Mosaic. The album reflected a fine and polished group of musicians who clearly felt musically comfortable together. But there was more to come in 2000 when the album was reissued on CD. The expanded release had bonus tracks which included the beautiful Everlasting Breath, a wonderfully slow and melodic song written by Damian. The track would see two more renderings; one with X.Valdez and more recently on this year’s solo album. That Petrol Emotion split in 1994. A well-produced live album Final Flame: Fire, Detonation & Sublime Chaos followed, documenting their farewell shows. That Petrol Emotion remains one of the most underrated bands of all time. 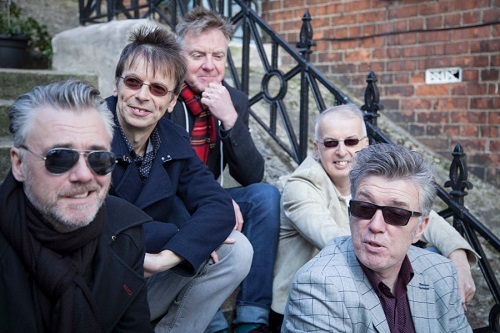 The Undertones reformed in 1999, initially just to play some shows in Derry. Not surprisingly they went down well and things progressed from there. I was unsure about the reunion to begin with. Not only because it was without frontman Feargal Sharkey but also part of me wanted this legendary group to remain in my nostalgic past… a view that changed within minutes of seeing them perform for the first time with replacement Paul McLoone on vocals. The Undertones Mk.2 are without a doubt the best live act I’ve seen. 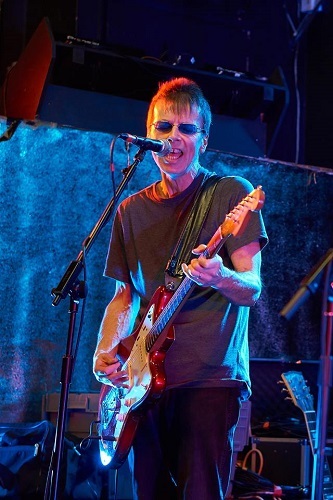 McLoone’s charismatic and vibrant performances enhance the band’s energetic drive. This new incarnation of the Undertones released two albums, Get What You Need (2003) and Dig Yourself Deep (2007). Both albums are fine Undertones documents which have the early band’s rawness but unfortunately the muddy production didn’t do these great songs justice. Once more John O’Neill took on the main song writing responsibilities and did a fine job. Damian’s writing credits on these two records is brief; however, the best track, We All Talk About You, was co-written by him and Mickey Bradley. In 2013, I was excited to discover the Undertones were to release a new song called Much Too Late for Record Store Day. With a limited press of 1,000 obtaining my copy could potentially have been a problem, particularly as my local record shop would only stock five copies. To avoid disappointment I queued from 3am and I’m pleased to report I got my copy. 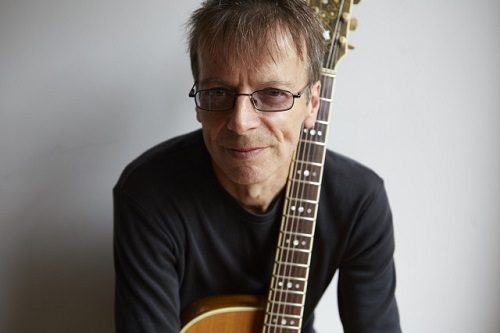 Damian’s composition of Much Too Late has a snappy, addictively foot tapping beat and the song soon became a popular addition to their live set. It would later be given a further and improved facelift for the new solo album. The year before the Undertones reformed, as well as guesting on the superb album Peoplefreak from John O’Neill’s band Rare, Damian released his first ‘electronic’ solo EP No Flies On Frank on the French label Artefact. Undertones fans, who may have expected something rather more guitar based, would have been disappointed. This was experimental music with lots of samples more suited to film soundtrack than to crowd pleasing stage performances. 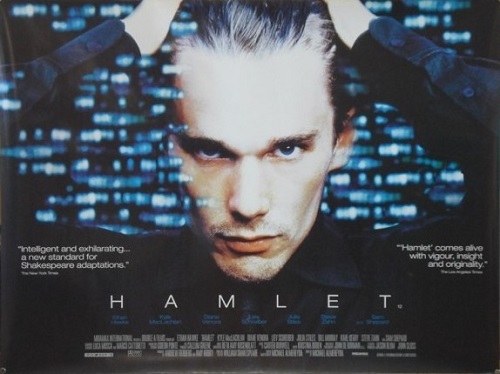 And in fact that’s exactly what happened; my chosen track Moon Tide was selected for a film adaptation of Hamlet featuring Ethan Hawke. No Flies On Frank would become the precursor to the forthcoming A Quiet Revolution three years later. 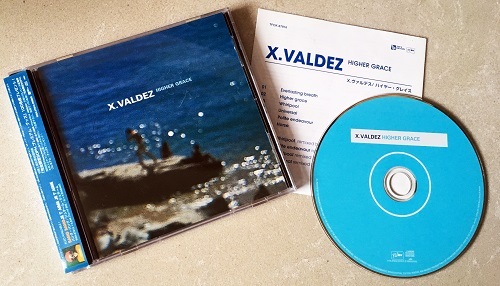 In 2000, Damian O’Neill released Higher Grace, an album under the name X.Valdez. This is undoubtedly the hidden gem in his solo catalogue. The CD, released on the Japanese label Toy’s Factory, consisted of six songs with four remixes. The music was produced by Xavier Jamaux, a French disco musician, with Damian playing most of the instruments. Still with the electronic theme he was into at the time, this had a much more commercial feel, mainly due to the beautiful voice of Athena Constantine, whose soft mellow tones were in tune with those of Nouvelle Vague’s Camille Dalmais and Weekend’s Welsh singer Alison Statton. The album’s opening track is the beautiful and familiar Everlasting Breath, which made its first appearance on the Petrols’ Fireproof reissue. Athena’s vocal revitalised the track, as Rosa O’Neill’s backing vocal would later do on the solo album, Refit Revise Reprise. 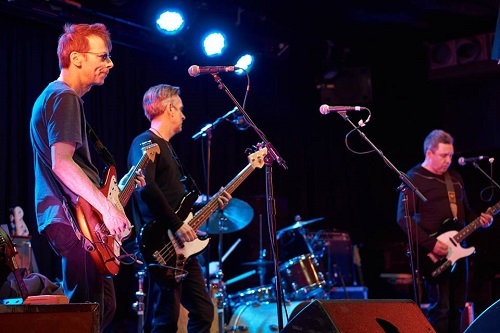 The best song is the title track Higher Grace, a composition written with Raymond Gorman originally earmarked for an albeit short lived project, the Wavewalkers. Once again, the song would be brilliantly reused as an instrumental appearing on the 2018 album Refit Revise Reprise. Other notable tracks are Whirlpool and Polite Endeavour which features the instrumental later used on A Quiet Revolution. It’s a great shame that Higher Grace was only released in Japan; this beautiful collection of songs needed to be heard by a wider audience. Damian O’Neill continued his electronic sampling in 2001 with the graceful and ambient A Quiet Revolution released on Alan McGee’s Poptones label. The album didn’t sell well, again probably due to a style that Undertones and Petrols fans weren’t expecting; however, approach the music with the right frame of mind and it’s extremely good. Mainly recorded at home and mixed at Blackwing studios, South London, this unique recording with effects and samples makes for a relaxed and mellow listen. It’s also packaged beautifully with a fold out Mondrian style graphic sleeve. This is a great CD to play as mood music while entertaining guests or in my case to play while I’m marking school books. The track I’ve chosen from the album is Easy Does It with its slightly more upbeat tempo and lovely Booker T. & the M.G.’s style keyboard sound. Another notable event that happened the same year as A Quiet Revolution was the dusting off of Damian’s electric guitar for a blistering appearance on Later with Jools Holland with Tim Wheeler and Ash for a cracking rendition of Teenage Kicks. Apart from his work with the reformed Undertones, Damian’s solo work took a back seat for the following twelve years. An important focus on family life and bringing up his daughter Rosa took priority until the next project in 2014. As part of Derry’s City of Culture celebrations in 2013, the Playhouse Theatre commissioned John and Damian O’Neill to write the music for “Re-Energize”, a play by Gary Mitchell. The commission was for eight songs, two of which Damian decided to release on 7″ vinyl. This time Undertones fans would be pleased with a return to a more guitar based sound. The A-side, Trapped In A Cage, is a great song but I much preferred the B-side, Love Makes The World Go Round. With an irresistible ‘Buzzcocks’ feel this catchy tune firmly established Damian as a brilliant singer/songwriter in his own right. The single was well received by faithful Undertones fans and if he needed confirmation to go it alone, this was it. The announcement that the ex-TPE members would be reforming, albeit without Steve Mack, under the name The Everlasting Yeah was a very exciting prospect and it certainly didn’t disappoint. Their album Anima Rising, initially released through pledgemusic, had an impressive response with many fans sharing my enthusiasm. Anima Rising is an outstanding album, full of energy. The production is good and the driving guitar sound is delightfully heavy. You can feel the influence with band members’ past projects coming together for a blistering seven songs. The first track, A Little Bit Of Uh-Huh & A Whole Lotta Oh Yeah, is a rousing opener with its thundering power riffs and high octane rhythm. My favourite track on the album is the funky (Whatever Happened To The) Hoodlum Angels. The rhythm section starts with a pulsing morse code bass line soon to be joined by a simple harmonic lead guitar. The song gathers momentum with backing vocals and some brilliantly sliced power chords. The melody is catchy with Raymond Gorman delivering the vocal with confidence and passion. All songs on the album are credited to the band and, although this was a successful release, it clearly deserved greater credit and again should have attracted a wider audience. I was lucky enough to see the Everlasting Yeah play an intimate show at the Lexington in London on 6th February 2016 and they were incredible. The band’s musicianship shone through as they treated the small audience to a complete and stunning rendition of Anima Rising. This brings us up to date with Damian’s newest, and best, project, Refit Revise Reprise, under the name Damian O’Neill and the Monotones. The record, as the title suggests, is a mixture of material including revamped Undertones and Petrols songs as well as new material including some stunning instrumentals. I could have chosen any of the twelve tracks for my Toppermost but have to stick to just two. The opening track, The Love Parade, co-written by Damian and Mickey Bradley, is a familiar Undertones classic. Released as a single in 1982, it unfortunately didn’t trouble the top 40. This version is proof that less is more, stripped down to its essentials with a real 60s vibe it’s a significant improvement on the original. This great album opener is followed by a glam rock treat with Sweet ‘n’ Sour. The stomping beat and guitar riffs are a nod to such bands as T. Rex and the Sweet, who were hugely influential on the fledgling Undertones back in 1975. The colourful video was shot by Douglas Hart on a cold evening on the promenade between St Leonards and Hastings. Another favourite is the rockin’ instrumental No Time Like The Noir Time. With its Garage Band roots and White Stripes influence this song is one to turn up loud. Damian isn’t shy when it comes to using many varied instruments and this song is no exception with the classic stylophone taking a lead role. This may be Damian tipping his hat to David Bowie who made the instrument famous in Space Oddity. It may also be a nod to the Nuggets album that’s been well documented in influencing the Undertones in their early days, particularly the brilliant No Time Like The Right Time by the Blues Project. Either way it’s a stunning track. My final choice is a rendition we’ve heard twice before, once with That Petrol Emotion and then with X.Valdez. Everlasting Breath is a beautiful song. The mellow, floating melody, enhanced by a musical saw is just perfect. Each recording of the song improves on the last and this one, with Rosa O’Neill on backing vocals, is the perfect version of this lovely song. Any of the remaining songs from Refit Revise Reprise could have made my list. The reworked songs of the Undertones and That Petrol Emotion all feel like they are finally home. Refit Revise Reprise is a truly brilliant album and my hope is that it’s the start of many more releases. Despite being part of so many successful projects and writing some sublime tunes, Damian always remains humble and, to a certain extent, unaware of his own talent. 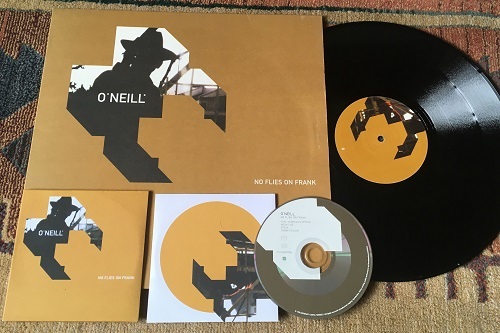 This could be due to having lived in the shadow of his talented songwriting brother John O’Neill but more probably due to his self-effacing and deferential personality. Damian O’Neill has always kept his integrity, writing music he feels passionate about whether it be Punk, Pop, Electronic or Trip Hop. It’s a shame that he didn’t decide to go it alone earlier in his career but I am sure this talented musician and songwriter has so much more to offer. Mr Waite, when you write, you’re right. Insightful, knowledgeable and yes, The Undertones are great live. A FANtastic insight into one of my heroes, a real pleasure to read Neil. Although I loved The Undertones (one of the greatest gigs I was ever at was the one they did in Galway in February 1980) and That Petrol Emotion, haven’t really followed Damian’s career since. This great piece gives me the perfect starting point from which to do so.